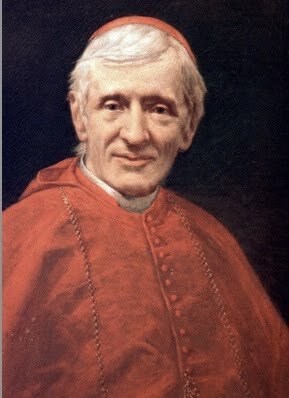 The Mass of the Beatification of Cardinal John Henry Newman took place in England on September 19, 2010. What was the mood there? The mood in the U.K. this past week was truly electrifying. Very few, if anyone, expected such an enthusiastic response from the British. Why was this such a significant trip? This trip was significant in a variety of ways. There were a number of truly historic encounters and events, starting with the fact that this was the first state visit of a pope to the United Kingdom since the Protestant Reformation. This fact was underscored by the Pope’s visits to Lambeth Palace, Westminster Palace and Westminster Abbey — all firsts. The final day saw the Pope meeting with all the bishops of England, Scotland and Wales at Oscott College near Birmingham, along with a much-appreciated encounter with the 250 seminarians from those three countries. This occurred at the very spot where the bishops had assembled in 1852, shortly after the reinstatement of the Catholic hierarchy and clergy in the U.K.
What’s so special about a beatification? Beatification is the penultimate step in the saint-making process, just before the actual canonization, but in itself it is significant because it invites the faithful to invoke the intercession of the person declared “blessed,” and acknowledges that the person in question is in heaven. This particular beatification carried huge importance because it is the first beatification of an English “confessor” saint (distinguishing this from the canonized martyrs John Fisher and Thomas More) since the Reformation. The beatification took place in Birmingham, near where John Henry Newman had established the English Oratory. What is so special about Cardinal Newman? Newman had been a high-profile Anglican who in 1845 felt compelled by intellectual honesty to become a Roman Catholic. He was also one of the most important British intellectuals of the 19th century, as even London’s Times acknowledged. Newman holds particular importance for Pope Benedict, who has repeatedly affirmed the influence Newman had on his own intellectual formation, especially his studies of conscience. One cannot help but think that in many respects, as an intellectual, a teacher and a prelate, Benedict identifies personally with many aspects of Newman’s life. In his homily during the beatification Mass, Pope Benedict noted how Newman applied his “keen intellect and his prolific pen to many of the most pressing subjects of the day,” something Benedict has striven to do throughout his career. Benedict also observed that these “pressing subjects” included for Newman the relationship between faith and reason, the vital place of revealed religion in civilized society, and the need for a broadly based approach to education. Once again, these are issues to which Benedict himself has devoted considerable attention, as witnessed by his addresses during this trip. John Henry Newman is truly a saint for our times and a beacon for all those engaged in academic and intellectual apostolates.